Our Online School Bus Driver Training includes preparation and refresher training, in-service training, and defensive driving training. Also available are NAPT certification courses and state specific school bus driver certification courses. 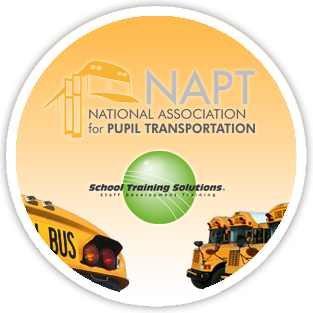 NAPT and School Training Solutions™ have partnered to bring the NAPT Professional Development Series directly to you, in an easy, convenient, and effective online environment. Select NAPT PDS courses are available online for immediate enrollment and count toward the various levels of NAPT Certification. New Employee Training offers 10 hours of courses to help familiarize new employees with the nature of the workplace. Some courses include Sexual Harassment Awareness, Conflict Resolution, Stress Management, First Aid, Identifying and Reporting Child Abuse, and Bullying Identification and Prevention. 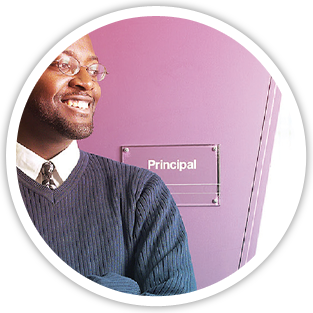 Online training catalogs can be customized to include your choice of courses from the Professional Development, Campus Security, Food Service, or Transportation catalogs to meet your district, school, department, or organizational needs. School Training Solutions ® (STS), a division of Smart Horizons, is a comprehensive offering of online training organized to meet both state mandated in-service training requirements and the professional development training needs of all school district employees. Get notified of discounted courses, new infographics, and more!